Paincheck | How it Works? 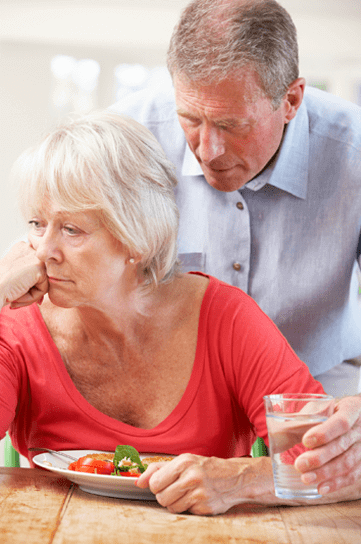 Pain often goes unrecognised and under-treated in people with communication difficulties such as dementia. Although tools exist to assess pain, they are often subjective, manually based and subsequently under used by carers. PainChek® is a secure smart phone-based medical device that uses artificial intelligence to assess and score pain levels in real time and update medical records in the cloud. PainChek® is a fast and simple to use solution. It uses the smart phone camera to record a short video of the person’s face and analyses the images using facial recognition analytics. It automatically recognises facial muscle movements that indicate pain and takes note of them. Next, the caregiver uses PainChek® to record their observations of pain related behaviours such as how the person is moving and vocalising pain that will complete the assessment. Finally, PainChek® calculates an overall pain score and stores the result allowing the caregiver to monitor the effect of medication and treatment over time. PainChek® is a world-first pain assessment medical device – now with regulatory clearance in Australia and Europe. Dementia is a syndrome in which there is deterioration in memory, thinking, behaviour and the ability to perform everyday activities. The number of people with dementia is expected to increase to 75.6 million in 2030 and 135.5 million in 2050. Dementia has physical, psychological, social and economical impact on caregivers, families and society. The high cost of the disease will challenge health systems to deal with the predicted future increase of cases. Pre-verbal children include neonates (aged 0-1 month) and infants and toddlers (1 month- 3 years). Sources of pain in children can include rashes, teething pain, middle ear infections, and, once they become mobile, cuts and abrasions. Currently, diagnosis of pain in pre-verbal children requires consultation with a health care professional as this age group lacks the language ability to describe their pain. Such assessments are not always accurate. For instance, parents often rely on intuitions, assumptions, and personal beliefs in order to assess the child’s pain rather than objective, accurate and adaptable assessment.